SAN FRANCISCO – Sept. 26, 2017 – Social media marketing platforms drive significant business results. So why are only 13 percent of US businesses using them? That’s the question raised in a commissioned Lithium Technologies study, conducted by Forrester Consulting, released today. Every competitive advantage counts in today’s economy, so can brands really afford to fall behind on social? 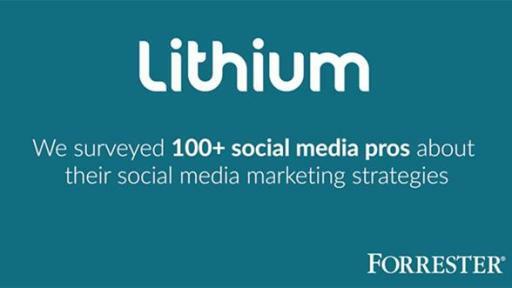 The Forrester study looked at B2C and B2B businesses’ adoption of social media marketing (SMM) platforms, how they use these platforms, and what results they are seeing. 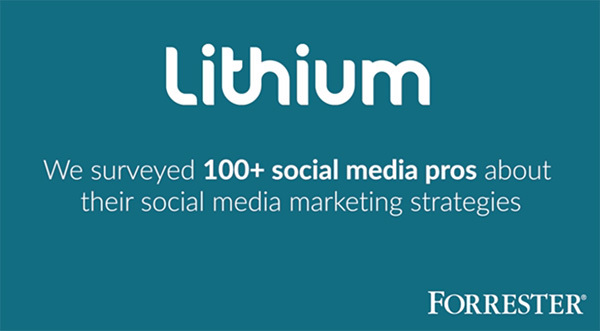 Respondents represented companies generating $100 million or more in annual revenue, and only 13 percent are investing in social media marketing platforms. This is despite the fact that most US consumers use social media as their primary channel to engage with brands, whether they are browsing, shopping, or getting their questions answered about products. Why is this? Many companies are piece-mealing social tools together or opting for free services, only to find these platforms fail to scale and don’t empower them to engage audiences across social networks. Respondents that have invested in comprehensive social media marketing platforms are seeing impactful results: 75 percent report their platform is utilized amongst multiple teams, with greater scale and synchronized efforts. As a result, 60 percent of brands with a SMM platform in place experience increases in customer acquisition and engagement.